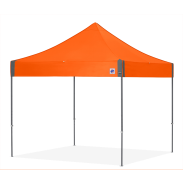 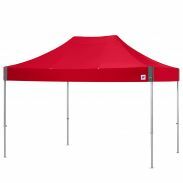 The commercial-grade Hi-Viz® Utility shelter comes with a durable steel frame and highly-visible, bright orange or bright green top with reinforced corners that are reflective for additional safety. 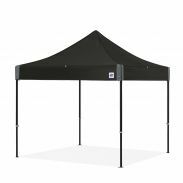 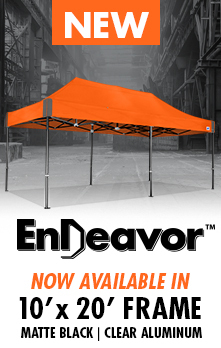 Complying with OSHA* regulations, which require the provision of shade for workers outdoors, is now easier than ever with the new E-Z UP® Hi-Viz® shelter! 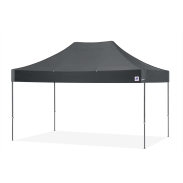 Built tough, the new industrial Hi-Viz® Utility is specially designed to provide your workers relief and a highly-visible safe haven, both day and night. 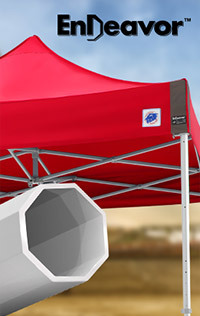 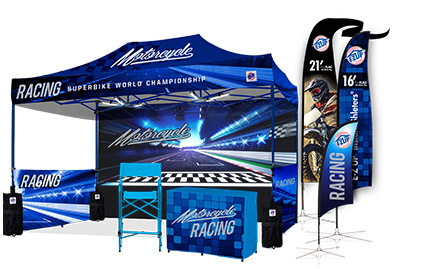 Sets up in seconds™ for any industrial, agricultural or commercial workspace day and night.